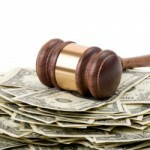 Alimony payments are very well alive in the American divorce system and are reality you’ll have to face. If you earn significantly more money than your spouse of several years, there is a good possibility you will be ordered to pay alimony. But generally alimony isn’t awarded for short marriages or in marriages where you both earn almost the same amount. Some of the factors that affect alimony payments in terms of amount and duration in the U.S laws are length of the marriage or civil union, separation time while still married, age and health of the parties at the time of the divorce, income of both parties and future financial scenario of the parties and fault in breakdown of marriage. If alimony is ordered this means you’ll have to pay a specified monthly support payment to your spouse until your former spouse remarries, your child no longer needs a full time parent at home, until a date is set by judge to terminate it under circumstances like inability of your spouse to become partially self supporting after lapse of reasonable period of time, and also in case you attain retirement or in case of death of one of the parties. Alimony varies greatly from state to state within the U.S. Some states including those of Texas, Montana, Kansas, Utah, Kentucky and Maine, give clear guidelines to judges on the amount and duration of alimony. Some states like Florida, Texas, Maine are moving towards rehabilitative alimony. While in others like Mississippi, Massachusetts and Tennessee, alimony is usually awarded for life. Differentiation can be made between four types of alimony in the US. These being Temporary Alimony, where support is given when the parties are separated prior to the divorce and Rehabilitative Alimony where support is given to a lesser-earning spouse for a period of time needed to become self-sufficient. Permanent Alimony is paid to the lesser-earning spouse until the remarriage of the recipients or death of the payer or recipient and Reimbursement Alimony is given as a reimbursement for expenses incurred by a spouse during the marriage. Today the country is in the grip of alimony reform laws which are different stages in various states and the traditional concept of ‘support’ is being redefined. Thus we usually advise young couple to discuss money matters before getting married. An important step in this direction can be for you to prepare post-nuptial agreements. It is our recommendation that you should hire divorce professional who know of the latest developments in law especially in your state. And remember what we always tell all our clients, is that hiding your assets in order to avoid support payments, especially from your lawyer is illegal.